The library at Kwantlen's Richmond campus, which is currently undergoing renovations. 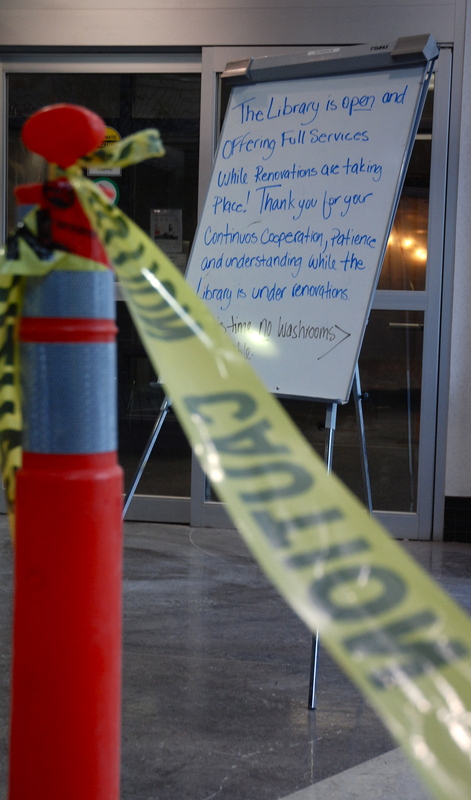 The library at the Kwantlen Richmond campus is getting an overhaul, undergoing a $1.2-million reconstruction project, partially funded by the Knowledge Infrastructure Project (KIP). Some of the improvements to the Kwantlen Richmond library will include more computer stations, more seating, more study rooms, a new copy room and a new information desk. The library at the Kwantlen Richmond campus is one of three projects at Kwantlen Polytechnic University partially funded by KIP. The other two projects are various student services renovations at the Langley campus and a partial building replacement at the Surrey campus. The Kwantlen Richmond library is still open during renovations, but if you are looking for a quiet place to study, don’t go in the morning. “[The contractors] are going to try to do much of the noisy drilling before 8 a.m.,” MacDonald said. As well, the washrooms are not available for use in the library. The renovation project is expected to be finished before the end of December. “We had a report today that they are right on schedule,” MacDonald said. 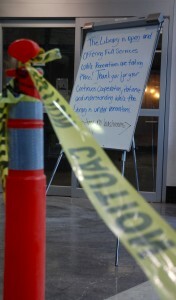 More details about the library reconstruction are available at the college website. Note: This article was updated, with quotes from Cathy MacDonald, on Sept. 30, 2010.